Have you ever wanted to have a fabulous dinner party, invite your boss over to impress, or show your snotty cousin Gweneth that you can make a delicious chocolate mousse, too? But perhaps you think you're not really that great of a cook. Well then, The Lazy Gourmet is your guide to fixing fabulous meals for any occasion. You don't need any previous cooking experience to be able to follow these simple yet sophisticated recipes. The easiest way to cook like a gourmet chef is to have a well stocked pantry. Chapter One is devoted to helping us have on hand everything we need from oils and vinegars to pasta, rice and other staples. There are chapters on main dishes, soups, sides, salads, desserts and more. Easy explanations on cooking techniques, and great tips and suggestions are all here to give us confidence and increase our skills in the kitchen. Everyday family meals can be elevated to a new standard just by incorporating some of these easy but elegant recipes into your daily life. As much as I liked this book, I have to say that I was disappointed that there are no pictures included. I love seeing the finished dish and what it's supposed to look like. Even without pictures, if you want to learn to make meals that will be delicious and impressive, do yourself a favor and pick up a copy of The Lazy Gourmet. 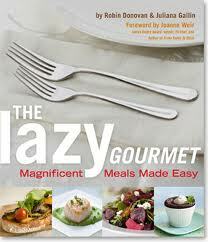 Win your own copy of The Lazy Gourmet. What is the one meal you would love to try to make but just don't feel like attempting it? *Limited to US residents; 18 years old and above. Giveaway starts May 20, 2011 and ends on June 3, 2011 at midnight PST. Winner will be emailed and has 48 hours to respond before another winner is selected. I was not paid for this giveaway or post. I was provided for free the book mentioned for this review. The opinions are 100% mine and may vary from others. I would like to bake a loaf of bread. I Follow Frugal Family Tree on GFC entry #1. I Follow Frugal Family Tree on GFC entry #2. I Like your new fan page on Facebook Frugal Family Tree entry #1. I Like your new fan page on Facebook Frugal Family Tree entry #2. I Like your new fan page on Facebook Frugal Family Tree entry #3. I Follow FrugalFamTree on Twitter entry #1. I Follow FrugalFamTree on Twitter entry #2. I Voted for you for "Were on the Fence" entry #1. I Voted for you for "Were on the Fence" entry #2. I Voted for you for "Were on the Fence" entry #3. I entered the Silk Giveaway. I entered the Lysol Giveaway. I entered the Softlips So You Lip Care Pack Giveaway. 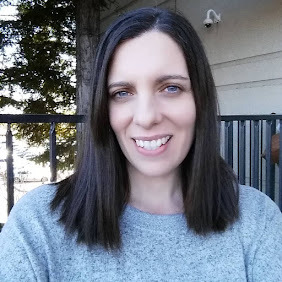 I entered the Yoga By the Dozen Giveaway. I entered the Inspiration For a Lifetime Book Giveaway. I would love to make creme brulee someday. i always want to eat scallops, but am too afraid to try! I would like to try cooking a duck, as my husband loves it. Lobster, stuffed crabcakes. I am the only seafood eater so it will never happen. 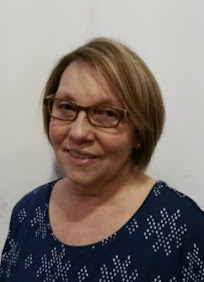 I entered the Organic Foods Review and Giveaway.